Rawr! There's only one king of the dinosaurs here and it's your kiddo! 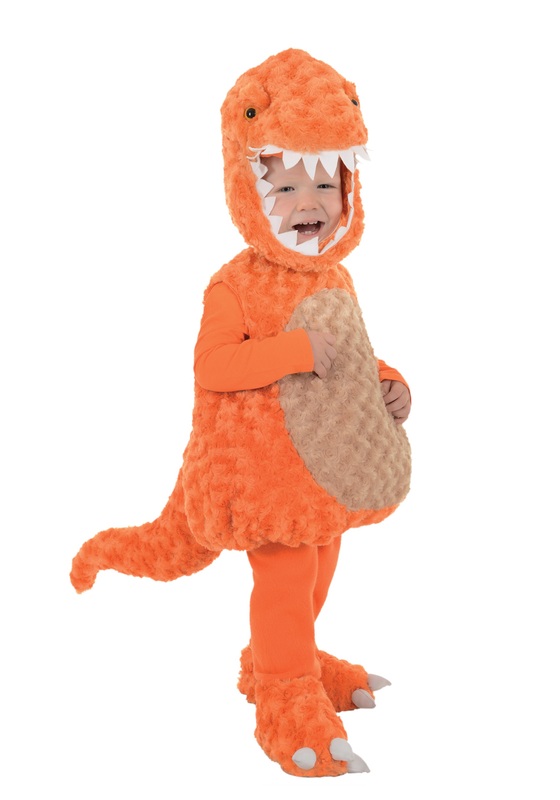 With this costume you'll finally be able to understand why he's always running around like a dinosaur on the loose. It turns out he just might be a dinosaur. Or at least half dinosaur. Why did the people in Jurassic Park go to all that work getting dinosaur DNA and cloning tyrannosaurus rex when they could have just gotten a rambunctious toddler? Sure, toddlers don't have the size thing compared to dinosaurs, but they definitely have the energy! But no, you get some rich guy to spend millions to set up his own dinosaur theme park thinking everyone will travel all the way to some remote island to visit. No need to visit, not when you've got this T-Rex costume. It's pretty much the same experience, and no need to worry about the electric fences going down. Of course, there's no guarantee your kiddo won't try to munch on the family cat if you let him loose in this, so please take precautions. But with a bit of time and training, you can eventually tame these wild beasts, at least for short periods of time. Did you know that toddler T-Rex needs a naptime? You'll be glad they do because you'll need a nap too after running around trying to keep your little dino from breaking free, or breaking pretty much anything they can get their hands on. And once your toddler wakes up from their nap, it will be time to play all over again. Then again, you can't help but love the kiddo even at his fullest level of dinosaur terror. So cute, great quality, and kept my little one warm while trick or treating!